Supporting families. Removing barriers. Building community through local food. At 21 Acres, our CSA is different; it was created for people who rely on limited resources. In its fourth year of the Harvest Share, 21 Acres is pleased to partner with City of Seattle’s Fresh Bucks program to double SNAP/EBT money. This means people who rely on SNAP/EBT can further stretch their dollars while supporting small-scale, local farms! Harvest Share veggie boxes are carefully sourced from 21 Acres’ Farm and other farms throughout the state, all free from pesticides and nasty chemicals. The Harvest Share is flexible, commitment is week to week, and comes with a variety of perks in addition to delicious, farm fresh food! 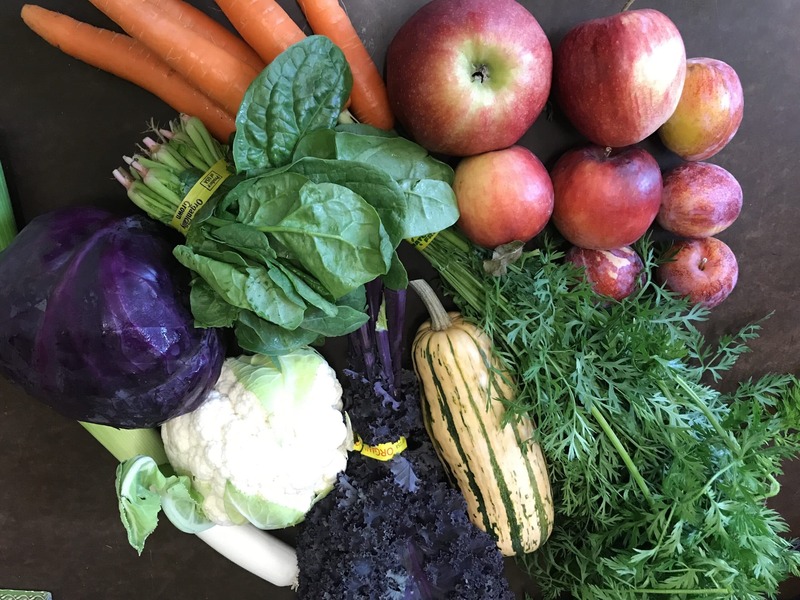 Enrollment in 21 Acres’ CSA means you will not only receive fresh fruits and veggies weekly, but easy, kid-friendly recipes to encourage healthier eating, as well as tips on how to stretch your food-dollar, build a pantry, and reduce food waste. All of this, plus our “This or That” program makes our veggie box easy to love. To support Harvest Share members, 21 Acres is also pleased to offer monthly, family-friendly cooking workshops at 21 Acres Community Kitchen. Our Community Kitchen is a space to swap stories and ideas on how to prepare foods, as well as tips and tricks for getting stubborn kids (and husbands, for that matter) to try and enjoy vegetables. We strive to build community through local food by inspiring people and families to cook together! Learn more about 21 Acres’ Harvest Share here or join today by registering online.